The Woodland Wife, otherwise known as a go-to blogger for all things inspired by wild nature and the beautiful outdoors effortlessly styles our beloved Birthstone Initial Necklace. This piece has been inspired by traditional Victorian love tokens, with a hand engraved scrolled initial of choice, and further personalised with a brilliant cut sparkly gemstone in a Victoriana star style setting. 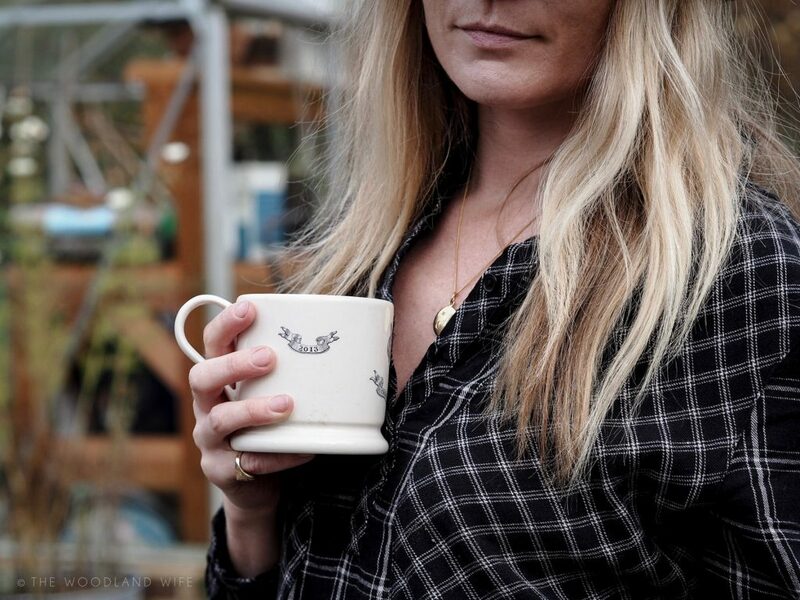 The lovely Woodland Wife Jessica wears this piece close to the heart for her daughter, creating a precious family keepsake and love memento. Jessica styles our Birthstone Initial Necklace with a casual dress, adding a simple yet classy touch to her stylish look. Jewellery adds the perfect sparkle to all our wintery knit and layered looks this season. Why not add a personalised piece to make your chosen jewelled accessory even more special? Our personalised Birthstone Initial Necklace is a firm favourite and makes for the ideal gift for the lover of all things monogrammed. Choose and initial and birthstone that bears great resonance to the recipient to make the necklace oh-so-special. If you add our Birthstone Initial Necklace to someone’s jewellery collection, it is sure to become her ‘go to necklace’, worn all day, every day.